We are a growing, successful company and opportunities in various aspects of the business occasionally arise in order to meet the service delivery requirements of our clients. Whilst the majority of our roles are based at our Head Office in Basingstoke, there may also be opportunities for working directly with some of our clients in other locations. 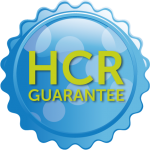 Previous experience of the relocation industry may be an advantage but is not essential – what makes a great HCR employee is enthusiasm, drive and understanding of the customer service ethos that is at the core of everything we do. Successful candidates will be joining a team that is determined to make sure the relocation experience for our clients, in whatever form it takes, is completely hassle-free.